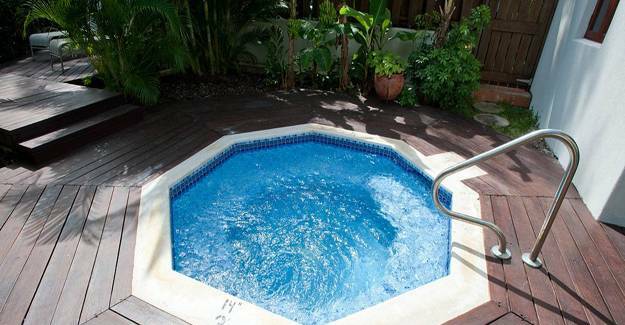 Jacuzzi is a nice way to improve outdoor living spaces and add more pleasure to busy lifestyle. Jacuzzi is a large bath or a small pool that is equipped electrically to sprout jets of water and air bubbles from different points and give a massage. 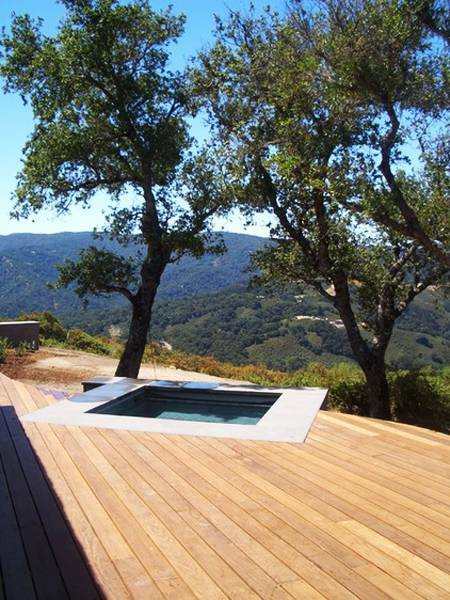 Outdoor living spaces with jacuzzi tubs are truly relaxing, more functional and entertaining. 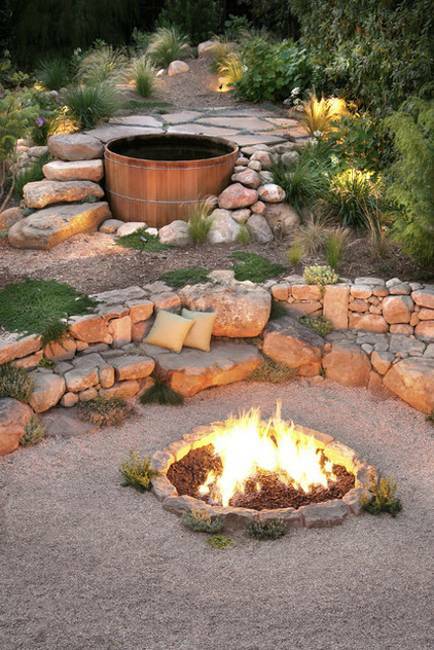 Lushome collection of ideas for incorporating jacuzzi tubs into yard landscaping gives great inspirations for building a jacuzzi and creating filled with fun backyard designs. 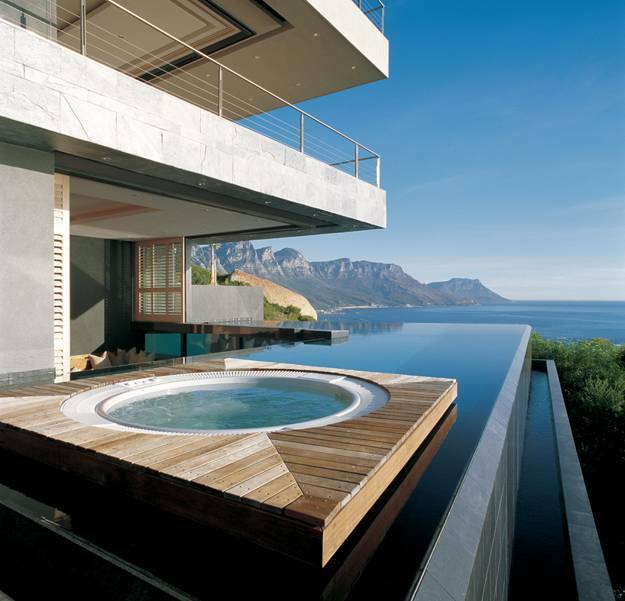 Outdoor living spaces with jacuzzi tubs look inviting, luxurious and pleasant. Soaking in the warm water that floats on you from different points gives true pleasure and provide ultimate relaxation. 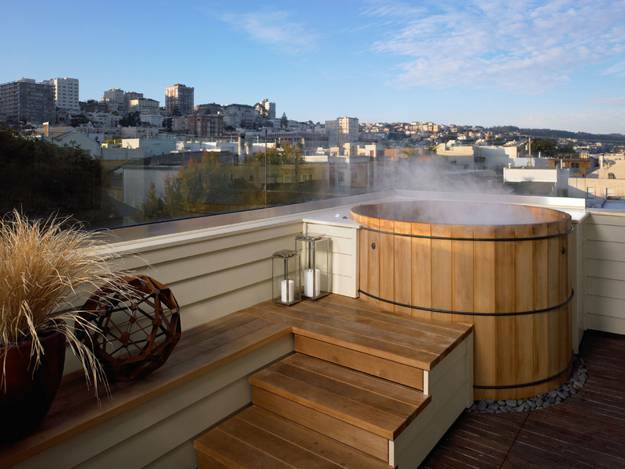 Jacuzzi tubs take away stress, energize, improve mood and refresh inner spirit. 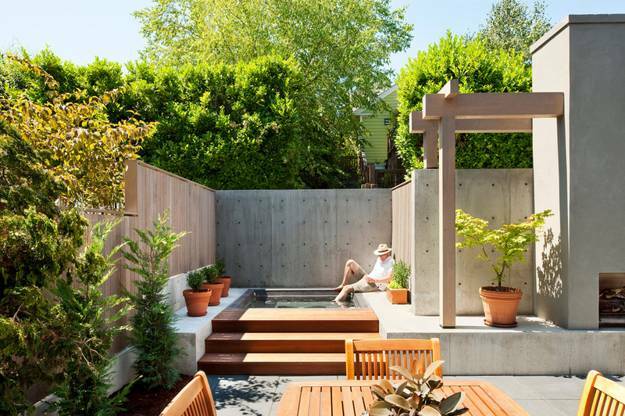 Outdoor rooms, gazebos and open wooden decks with jacuzzi tubs help rejuvenate mind and body while creating pleasant moments and adding beautiful focal points to yard landscaping. 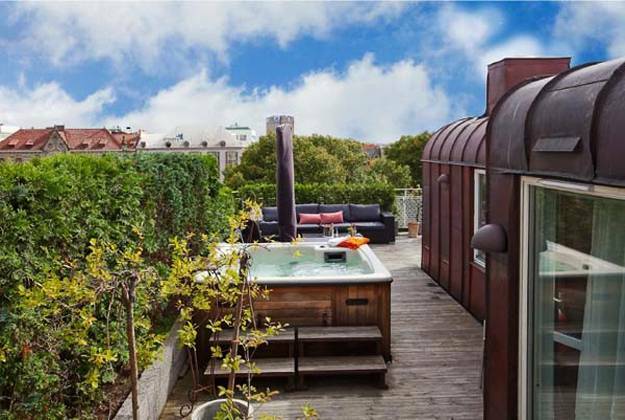 Jacuzzi tubs are great additions to outdoor living spaces. These water features improve backyard designs, add beautiful and functional decorations to yards and increase values of residential homes and hotels. The best way to enjoy a Jacuzzi is installing it inside or outdoors to create wonderful experiences and memories of soaking in warm water and receiving a light massage. Choosing to build a metal or wooden gazebo for a hot tub offers many benefits for homeowners who enjoy outdoor living and entertaining. 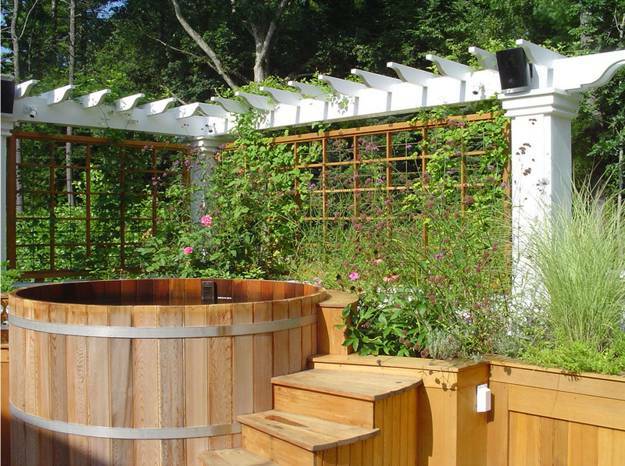 Metal or wooden gazebos offer protection from the elements, privacy and seclusion to a hot tub, allowing to design beautiful focal points for yard landscaping and outdoor home decorating. Wooden gazebos may have a door, privacy tinted screen windows or screens for mosquitoes, but even simple structures of pergolas, arbors, metal or wooden gazebos protect from direct sunlight and create fabulous centerpieces for backyard designs. 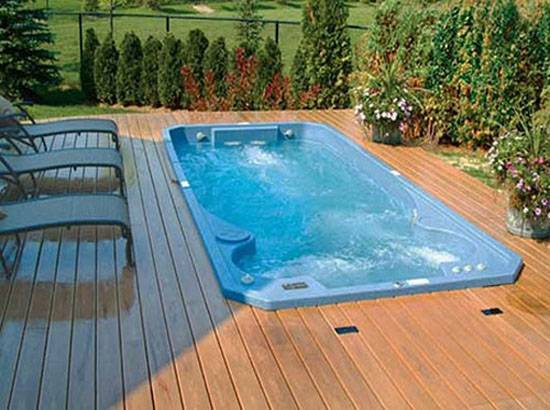 Jacuzzis bring fun and pleasure into homes, improving backyard landscaping by adding extra convenience, comfort and enjoyment. 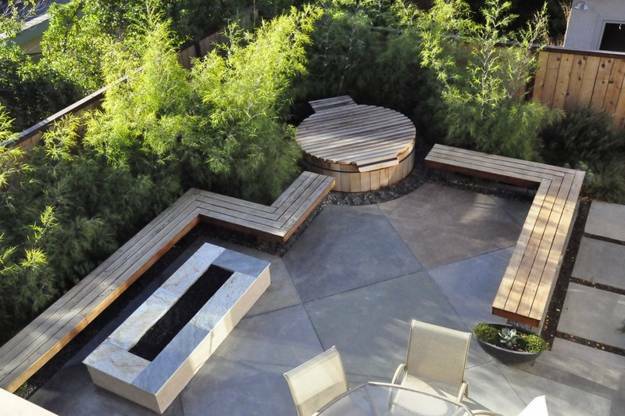 Backyard designs with Jacuzzis feel relaxed and very personal. Jacuzzis offer pleasurable activity and ultimate relaxation in the warm water after a busy day of work. Having a Jacuzzi in your home helps to unwind quickly and give you that added measure of luxurious privacy that you can not have in spas and hotels. Jacuzzis come in different shapes, styles, materials, prices and sizes. 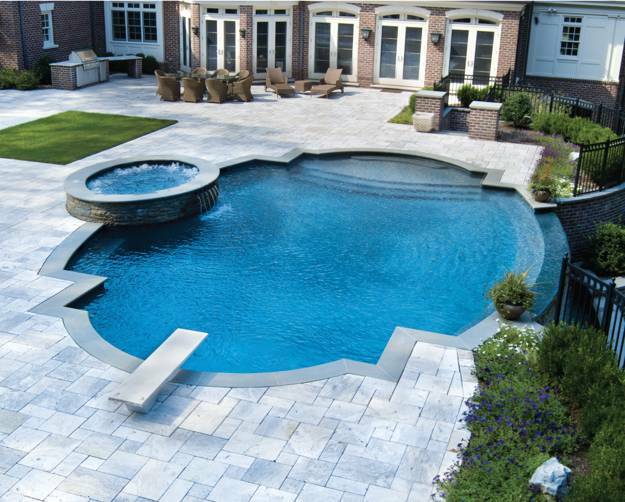 Styles and finishes ultimately define backyard designs and yard landscaping ideas that create beautiful spaces for hot tubs. Cedar is a popular material which is naturally insect repelling. 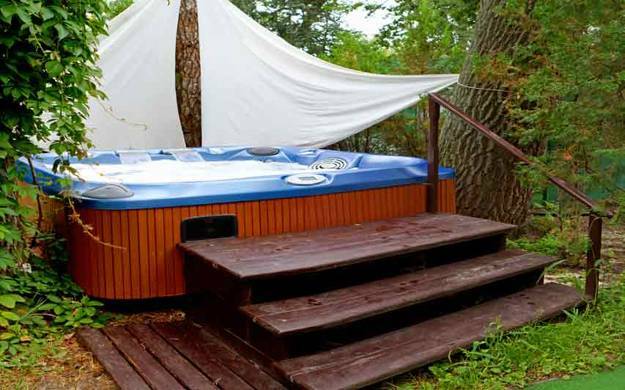 Wooden gazebos and wood around a Jacuzzi can be stained and finished in a many different and beautiful wood colors. 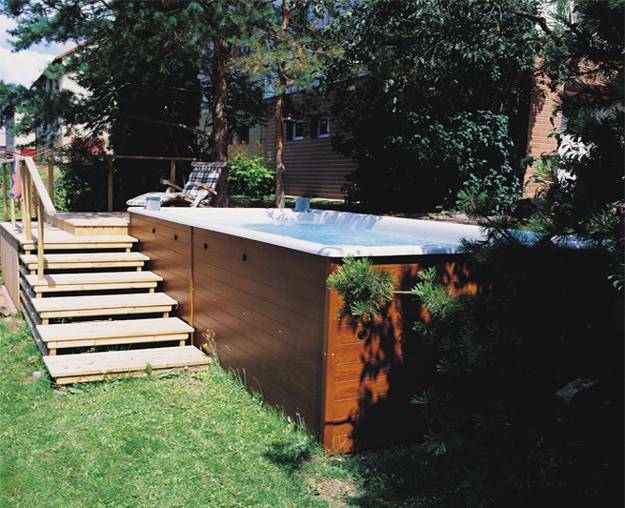 Mahogany, oak and pine colors bring harmony and splendor of natural wood materials into backyard designs while decorating hot tubs and creating attractive outdoor living spaces. 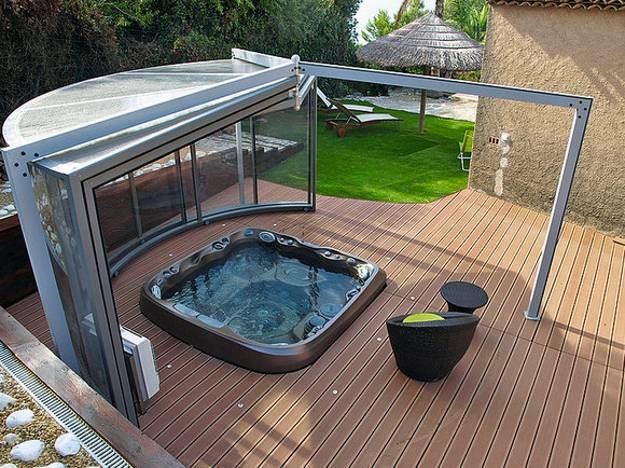 You can decorate your open deck with your built-in hot tub adding pots with flowers and traditional yard decorations. Hanging pictures, wind chimes and hanging flowers or adding a pergola with vines and flowering plants are all great ideas for beautiful backyard designs with a Jacuzzi. 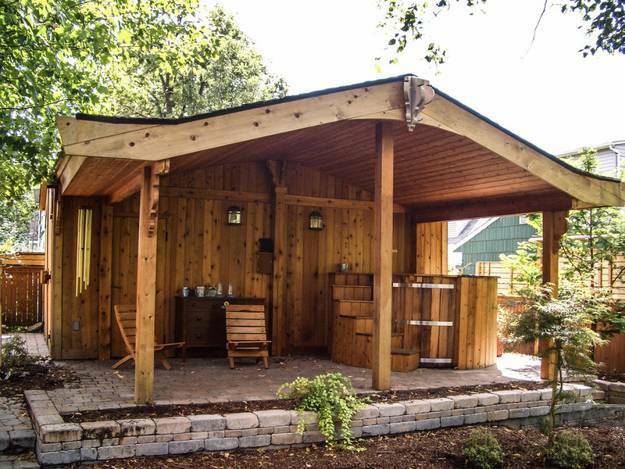 If you enjoy DIY projects and wood crafts, then you can build your own wooden gazebo around your hot tub. The design plans are widely available, and they are cheap. Wooden gazebos and pergolas with Jacuzzis improve outdoor living spaces by adding a fun gathering place for families and friends to backyard designs. 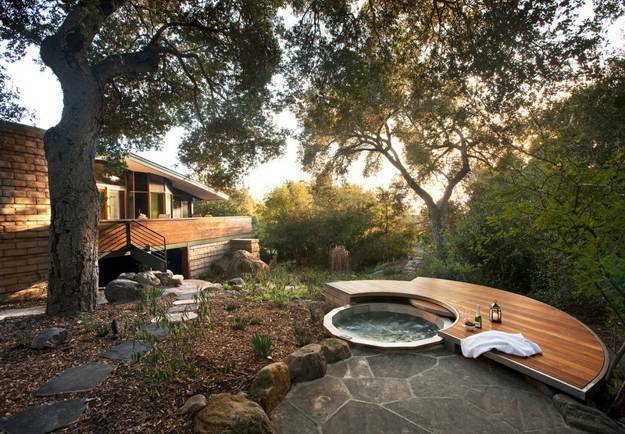 Jacuzzi tubs are a nice way to enhance the happy spirit when people soak in hot water and relax in privacy and style. 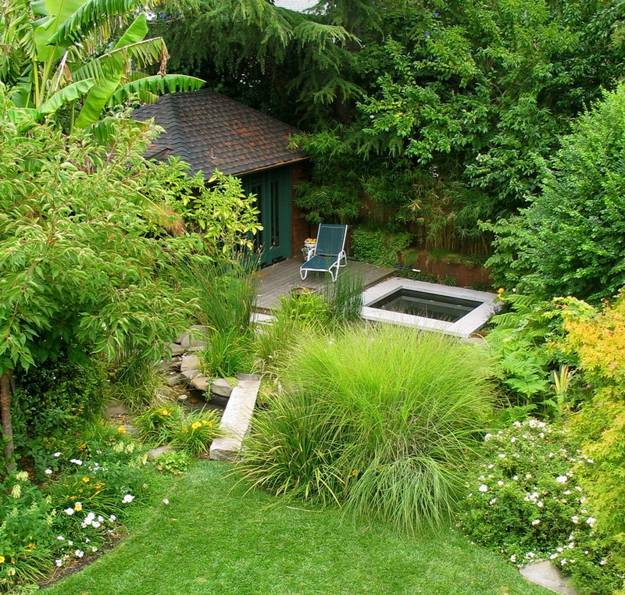 Jacuzzi is a great focal point for yard landscaping. 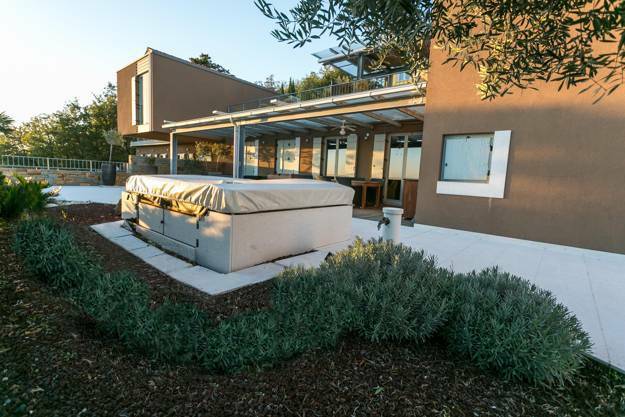 It creates a place to relax for all, – kids and adults, homeowners and guests. 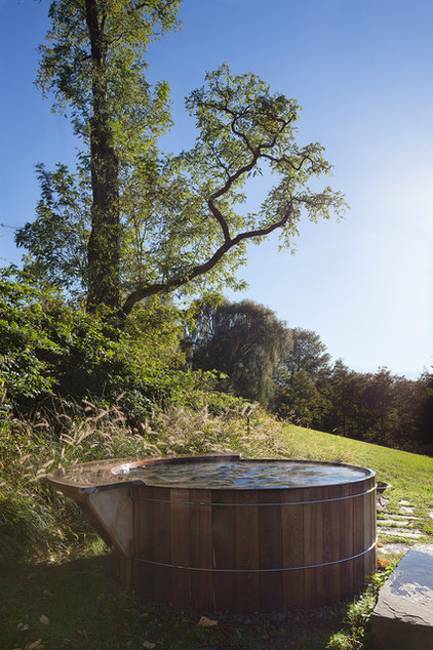 Hot tubs allow to soak away anxiety and stress, improving health, promoting the outdoor living and adding unique, functional and attractive centerpieces to backyard designs. 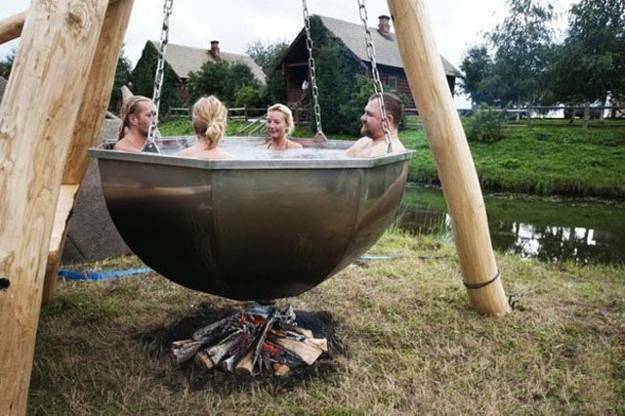 Jacuzzis are romantic and create wonderful memories and unforgettable experiences, especially in winter. 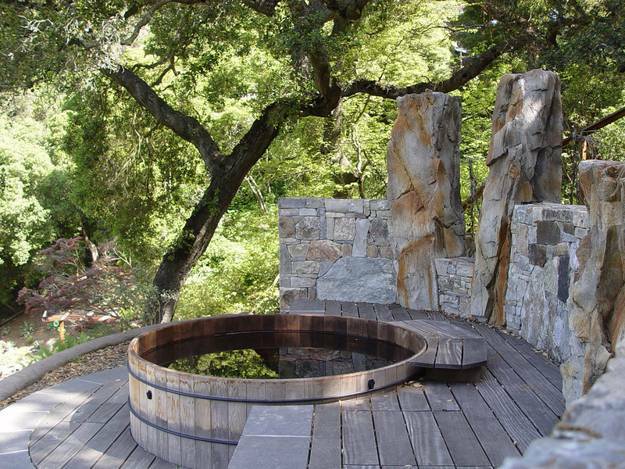 Hot tubs make outdoor living spaces become your favorite places to relax and rejuvenate in elegant and chic style.